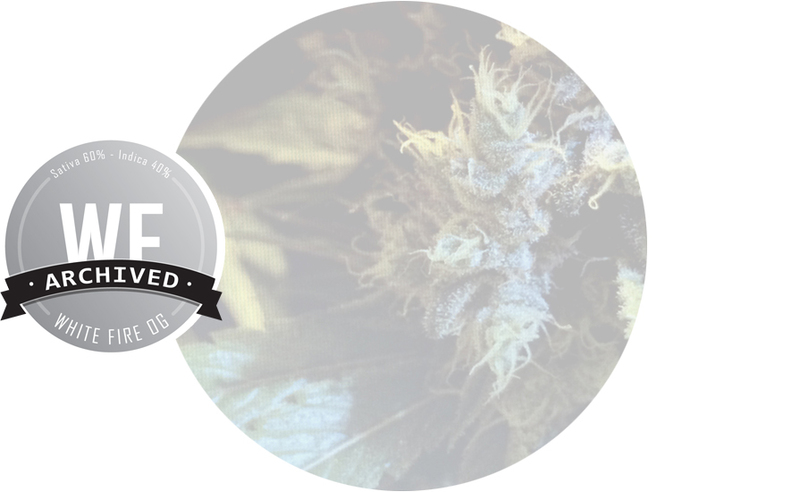 White Fire OG is our resinous take on one of OG Raskal’s finest creations. In a fit of mad brilliance, he crossed his Fire OG with The White from Krome to produce one of the most visually appealing strains we have ever seen. It features conical buds heavily laden with trichomes, making the buds appear to be frosty flames, or a dusty snowfall of crystals. along with the earthy OG smell, but somewhat sweet smell. White Fire has an uplifting and comfortable high. It will not make you very drowsy, so it is ideal for social and creative activities.